A Hong Kong buyer is now the proud owner of 2.2 pounds of prime Italian fungi. A pair of white truffles weighing 2.2 pounds were sold for €100,000 (around $125,000) yesterday at the World White Truffle Auction in Alba, Italy. Business Insider reports that the buyer purchased the pungent fungi over the phone from Hong Kong. The charity auction was filmed as part of the latest episode of Drink Bravely with Mark Oldman, take a look at the fist-sized truffles in the clip above. 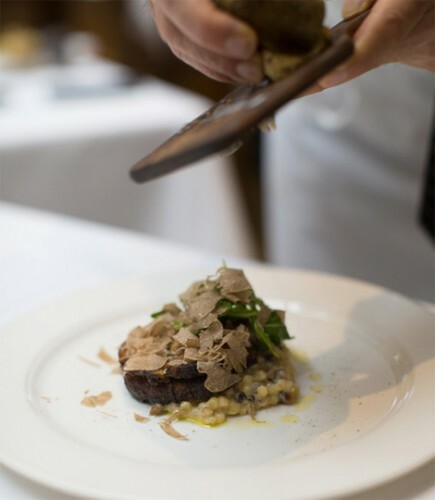 Unlike the less valuable black variety, white truffles cannot be cultivated, making them probably the most expensive garnish available; according to Time, a 1.6 pound specimen sold for $150,000 in 2009. They’re incredibly rare, available only a few months a year in the forests of Italy, France, Croatia, and Slovenia. 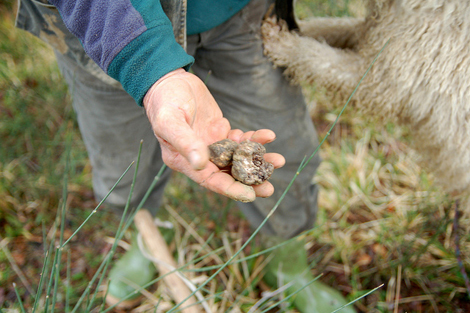 Finding them requires specially-trained dogs or pigs—in this kind of high stakes harvest, some truffle hunters have even been known to kidnap or murder their rival’s truffle dogs. Every year, the quality and quantity of white truffles drops due to global warming, pollution, and other factors, reports Time—which fuels international demand and drives prices even higher. They are, in short, the perfect luxury commodity, precious and getting more so all the time. But according to Grub Street, warm and wet conditions in Italy’s growing regions have made this season a particularly abundant one, which will bring prices down from previous years. So if you do want to splurge on some white gold shavings, now’s the time to do it, and this Eater map shows 15 restaurants where you can treat yo self right now.